Last week’s poll asked if you thought the fathers of this generation were more involved than those of the previous generation. 57% of you gave a rousing shout of “Yes!” I think it’s hard to say, because in some ways, our culture is more child-centered than it was when we were growing up, thus giving the dads of today many more opportunities. But, I’m inclined to think that this generation of dads is pretty progressive when it comes to child-raising. As for today’s poll, I debated a while on whether to post this or not, but being the angry, vengeful creature that I can be, I decided to go ahead. 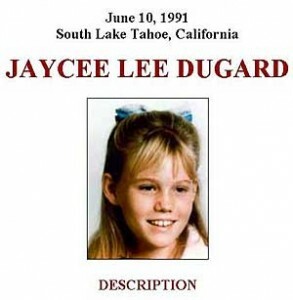 I’m sure you have all heard about the Jaycee Dugard story by now. If not, go ahead and click to read about every parent’s worst nightmare, with the exception of the death of a child. 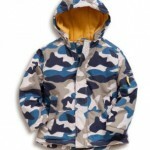 Boden Fleece Lined Anorak A great everyday jacket. 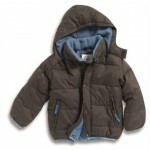 Boden Padded Jacket Cozy and comfy with a removable hood. Old Navy Boys 3-in-1 Color-Blocked Coats This can be worn three ways for the ultimate in versatility. 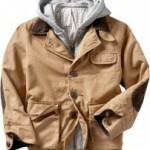 GapKids: Hoodie barn jacket Has a built in hoodie for the layered look without the bulk. 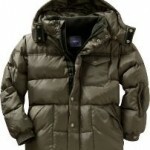 GapKids: Warmest jacket Available only online, this will keep him warm on even the chilliest days. 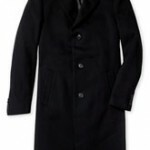 Joseph Abboud ‘Junior Wallace’ Wool Coat A great-looking long wool coat. 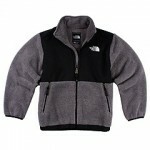 The North Face Kids – Recycled Denali Jacketl One of the most popular cold-weather jackets, and it’s on sale! 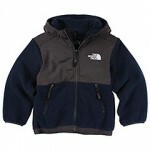 The North Face Kids – Denali Hoodie The hoodie version of the jacket above, also on sale! 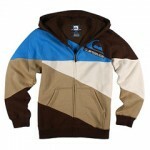 Quiksilver Kids – Crosstown Fleece A classic lined hoodie keeps up with fashion trends. 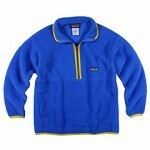 Patagonia Kids – Synchilla Marsupial Some of the warmest fleece around! I can’t believe it! 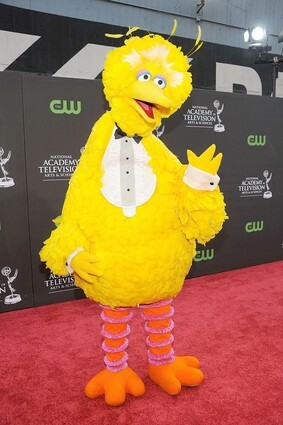 No one guessed last week’s celebrity baby! Granted, she looks nothing like she does now, and my hint probably came a bit late, but for the first time, no one has won. I’m sure you’re all heartbroken to not receive your non-exisitent prize. Can you believe this chubby-cheeked tot is actually Nicole Kidman? 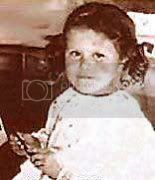 Who is today’s blonde imp? Come on, I know you can do it! CDF: John Hughes Bonus Edition! 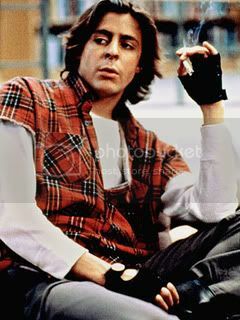 Because I am still in a nostalgic mood, or maybe just because I’m feeling particularly lazy today, I’m going to extend my John Hughes thing just one more time. Or most likely, because SusanG gave me the idea! 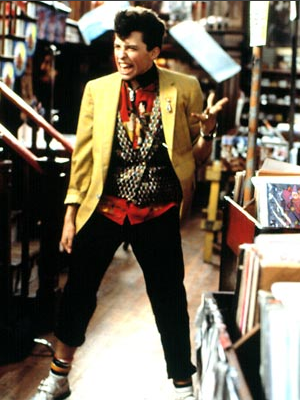 And I promise, this will be the last John Hughes themed CDF! But we’d recognize him pretty much anywhere, wouldn’t we? No, I’m not talking about wearing the same dress. Nosirree, this one is waaaay worse than that. I’m not even going to count something like sleeping with someone else’s spouse as a faux pas, that’s practically a crime. I’m talking about asking a woman if she’s pregnant. And then finding out she isn’t. I made this mistake once. It took only once, with the withering glare of hatred directed my well-intentioned way, to cure me of ever even thinking of posing that question again. I remember it all very clearly. I was at a salon getting my hair done, and one of the stylist’s daughters came in with two of her kids. She was very thin, except for a belly that protruded out much like a small basketball. She looked exactly like I have seen so many of my very thin pregnant women friends look, and so I stupidly airily asked her mother when she was due. I’m not kidding when I swear I saw lightining bolts come ouf of her mom’s eyes. “She’s not pregnant!” she snapped. I wanted to suddenly have all my hair covering my face a la Thing, but unfortunately it was pulled up in foils. I had entered dangerous territory and there was nowhere to hide. “Oh, uh, sorry!” I stuttered. “She’s just so trim except for the…” I weakly trailed off. The situation was dire, and there was no way to save it. I was toast. She knew it and I knew it. Luckily, I didn’t like that salon very much, and never went back to face the source of my shame. I know, I know, I’m a big coward. But I know that no one is going to ask. They all know better.